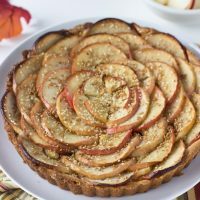 A sweet tart dough, nutty frangipane filling and toasted sesame seeds makes this apple tart recipe a winner and a must-try! 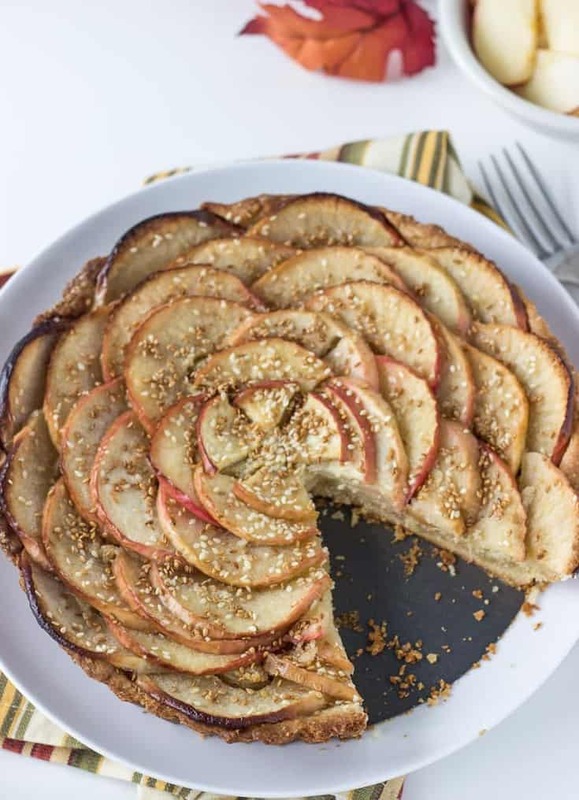 Talking about things I’ve been dying to try >> this apple tart with toasted sesame seeds. Last fall, the hubs and I went to Montreal on a weekend trip. It was a great road trip and nice to get away from our little town. Only 4 hours away, we had a great time in this francophone city. Of course, we hit up LOTS of bakeries and one of them we went to had an apple tart with sesame seeds on it. I was immediately intrigued by the flavor combo but was not convinced enough to try it (plus there were way too many pastries to try). So I chucked it to the back of my head to recreate at some point when I get home. A year later, I finally did! And I am so glad I did because apples + toasted sesame seeds is a great flavor profile. The sweet and tart apples combined with crispy toasted sesame seeds is wonderful. Lightly grease the bottom of a 9-inch round tart pan with baking spray. In a food processor, pulse together the almond meal, all-purpose flour, sugar and salt. Add in the half of the butter and pulse for a few second. Add in the rest and pulse until pea-sized. Add in the whisked egg yolk and pulse until the dough starts to form. Turn out dough onto a clean surface and using your hands, knead together until dough comes together. Press dough into the bottom and sides of the tart pan. Evenly spread and make sure there are no raised areas. Using a fork, poke the tart all around. Freeze dough for 30 minutes (or chill for at least an hour). Meanwhile, prepare the filling. In the bowl of a food processor, combine all the filling ingredients and process until a smooth paste forms. Chill until ready to use. When dough is ready, heat the oven to 400 degrees F.
Spread the filling evenly to the bottom of the tart. Top with apple slices in whatever design you like. I attempted to create a flower look by starting on the outside of the tart and working my way in, working in circles. Sprinkle apples generously with sugar. Dot with butter. Place tart pan on a baking sheet and bake until golden brown, 35- 40 minutes. Remove tart from oven and sprinkle with toasted sesame seeds. 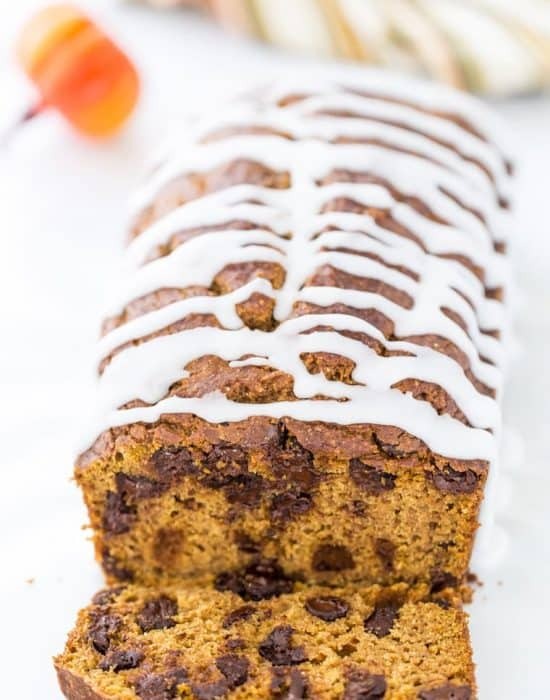 Let cool in pan completely before slicing and serving. Apples this time of the year just DISAPPEAR once they’re home! there’s so much to make with these beauties plus, they taste absolutely delicious when eaten just plain! This tart is making me drool, Zainab! There’s almond frangipane, apples and sesame seeds! It just cannot get any better than this! 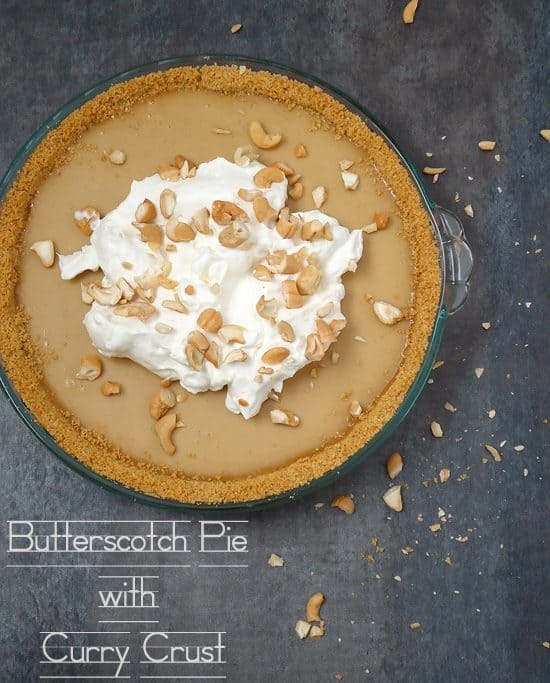 That brown sugar apple pie sounds just FAB! 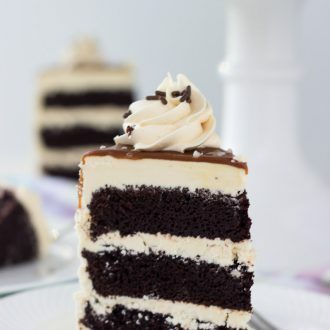 I hope you’ll post the recipe online when you make it, I would love to try it out too! That’s true!! Apples are quick to disappear around here. And yes, I will get around to that brown sugar apple pie for sure! This sounds amazing. I would never in my life think about putting sesame seeds on a sweet pie. I like the idea. Thanks Kristina! It went together well! This tart is absolutely stunning! I love the toasted sesame seeds on top. Such a fun touch! Wow! Beautiful! I love the sesame seeds addition and beautiful presentation! Ooo poppy will be another great idea. Let me know if you try it! 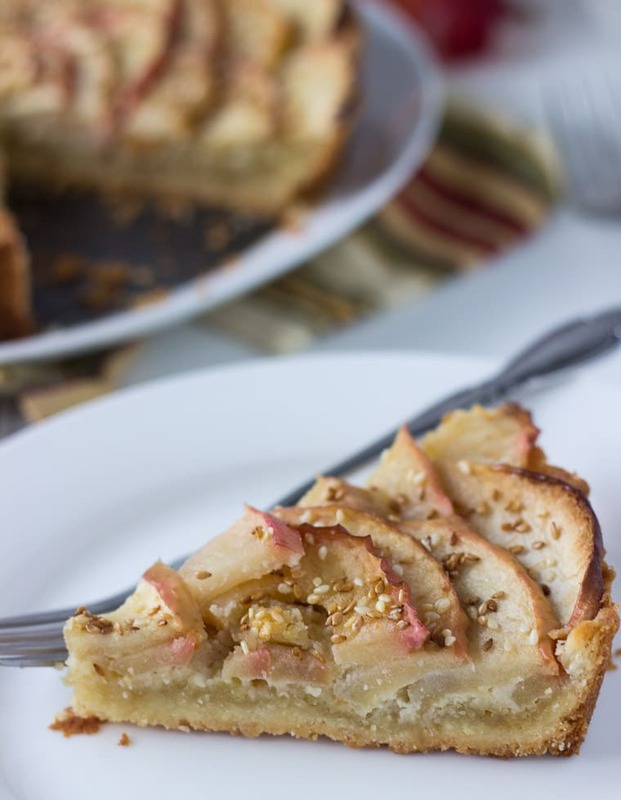 Second, the almond magic of frangipane with apples is such a dreamy combination. I’m just going to skip dinner with this one and go right to dessert. Hhahha skipping dinner is not an options…wait of course it is! Thanks Allie! It was my lame attempt to make a rose…you know you are the expert with that! 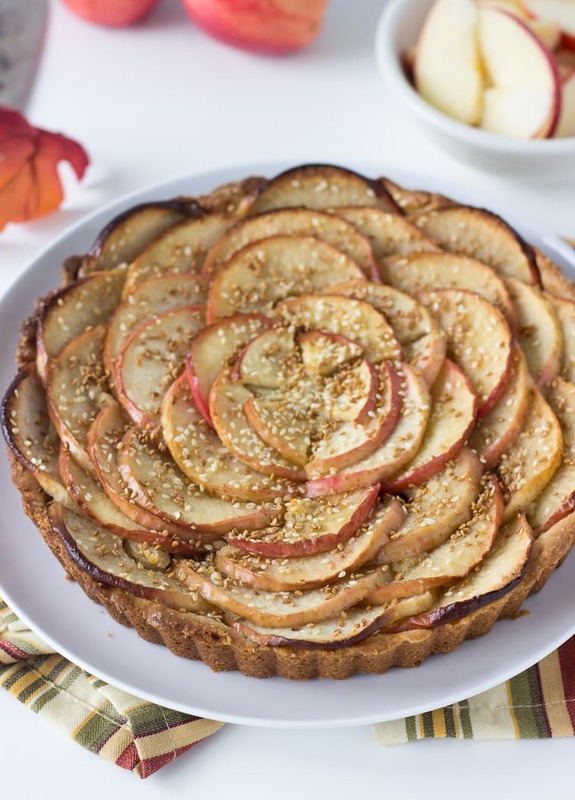 What a beautiful tart, and the sesame seed thing has me intrigued — I’ve never had that combination before! I believe you if you say it’s good. This I’ve got to try! You know I will never stir you wrong Marcie! This tart is stunning! I adore how you layers in the apples. And with toasted sesame seeds? That sounds wonderful!! Absolutely gorgeous Zainab! Love those sesame seeds! On my list! This is so gorgeous and the toasted sesame – so unique! This tart is absolutely fantastic! You can amaze them with your skills! This tart is seriously GORGEOUS! And sesame seeds? I would have NEVER thought to go that route, but I LOVE it! Great combo girlfriend! Wow! That tart is truly a work of art! How magnificent! Z, this tart is gorgeous!!!! I love the toasted sesame seeds! I agree Sues! Thank you! 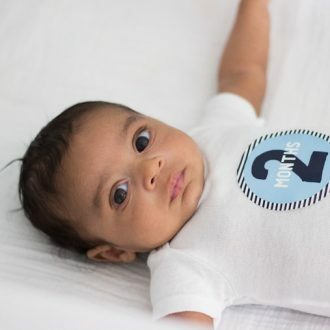 Everything about this is absolutely beautiful, Zainab! 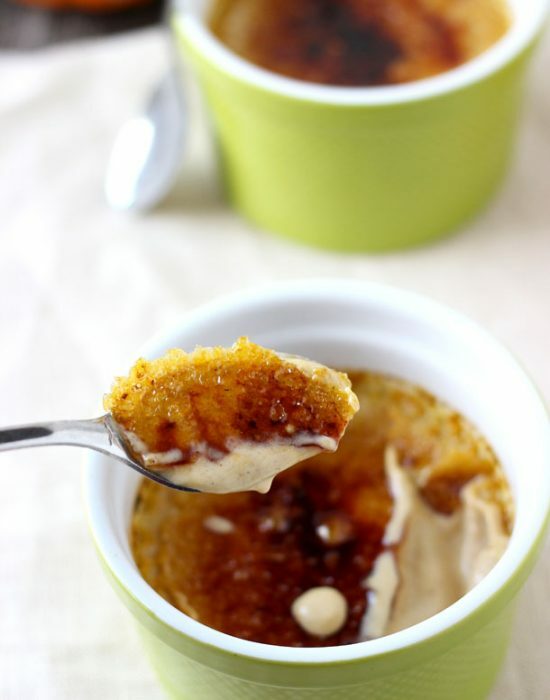 What a gorgeous dessert and such a great idea to add the toasted sesame seeds! We actually never got the chance to go apple picking this fall… I wonder if we can squeeze it in before that season is over! Oh I love the idea of combining the apple with the sesame seeds! That combo sounds amazing! And this tart is so pretty too! 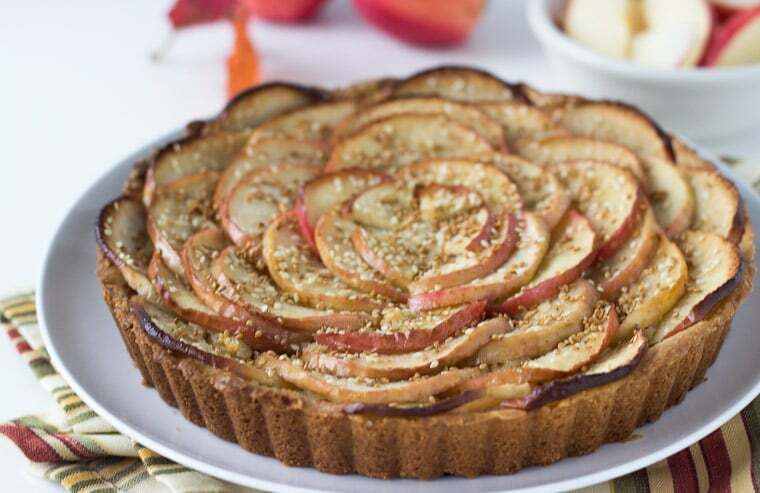 This apple tart is stunning. Love the idea of sprinkling over sesame seeds – I’m intrigued by that flavour combo! I would never think to combine apples and sesame seeds, but it’s pure genius! Love the looks of this tart, so pretty! Zainab, this dessert is almost too pretty to eat! It sounds simply amazing! The frangipane filling with the apples has to be an amazing combination! 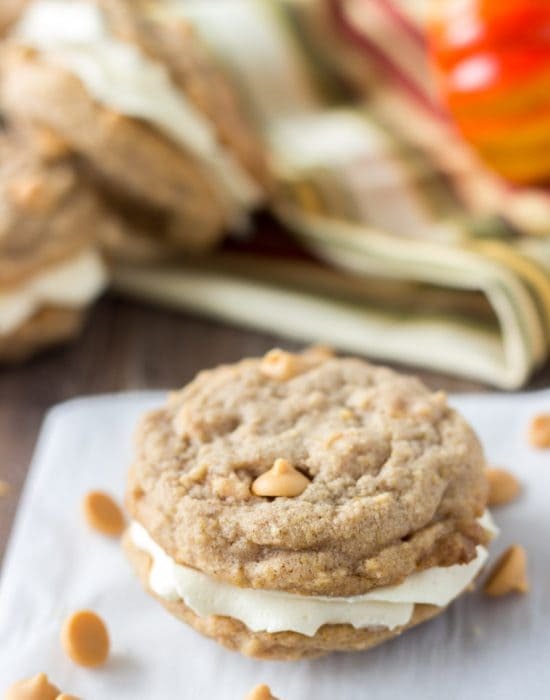 A great fall dessert! Thank you for the recipe!